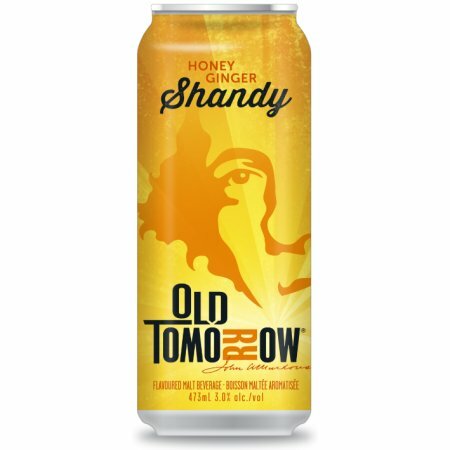 Old Tomorrow Honey Ginger Shandy is a 3% abv blend of beer, ginger ale and other flavourings inspired by the shandygaff, a beer and ginger ale cocktail that originated in England in the mid 1800s. Old Tomorrow Honey Ginger Shandy is an new easy-drinking new style of beer cocktail that delivers an invigorating ginger flavor for both satisfying and thirst-quenching enjoyment. The shandy was created in collaboration with Muskoka Springs, using its original 1873 recipe for Muskoka Dry Pale Ginger Ale, which is packed with botanical extracts. Old Tomorrow brewed its beer, blended it with the ginger ale and then added natural honey and lemon flavours. The result is a light and zesty ginger flavor that is truly refreshing. Old Tomorrow Honey Ginger Shandy is available now in 473 ml cans at select LCBO locations throughout Ontario.